Michael Tewksbury brings a unique perspective to the ADR practice. Mr. Tewksbury was a partner at Rider Bennett and his practice focused on defending insurance companies, their insureds, and insurance coverage litigation. He tried numerous cases. In 1988, he joined Schwebel, Goetz and Sieben focusing his practice on the representation of injured Plaintiffs. In 1994, the current firm, Tewksbury & Kerfeld, was formed. The firm has a unique practice of representing individuals with injury claims in a wide variety of circumstances; professional malpractice, product liability, personal injury tort litigation, as well as insurance coverage matters. The firm also does some defense work in large part on construction litigation matters. The background of having been actively involved in representing both Plaintiffs and Defendants provides Mr. Tewksbury with a unique perspective which he brings to his ADR practice. Additionally, by remaining an active practitioner in the handling of cases, he remains current with developments in the law, litigation practices, the court system, and the trial of cases. Mr. Tewksbury’s philosophy in approaching a mediation is to make sure that the parties fully understand the strengths and weaknesses of both sides of the case so that each side can make an informed decision regarding potential settlement offers. Having represented both insurers and claimants, he is able to address the issues directly that most often affect the decision making by each party. He has conducted over 1,500 mediations and arbitrations. He has served as a Special Master on three significant tort claims distributing in excess of $50 million in settlement proceeds to the claimants. Mr. Tewksbury was one of the panel of Special Masters appointed by the Minnesota State Supreme Court to distribute the proceeds of the settlement of the I35W bridge collapse. In that capacity, the panel reviewed 170 claims, including 13 deaths, leading to the settlement offers that resolved each party’s claim. The values established by the panel not only resulted in the settlement of the contribution by the State of Minnesota, but those evaluations were used by the parties as a basis for completing settlements on the remaining pieces of litigation arising out of the collapse. Mr. Tewksbury was appointed by the court to distribute the settlement proceeds in the Cottonwood bus crash case which resulted in 4 deaths and 17 injuries. The distribution proposed of the limited settlement proceeds was accepted by the district court and formed the basis of the settlement of each of those claims. Mr. Tewksbury also participated as a Special Master in the distribution of settlement proceeds in the Yaz/Yasmin litigation between numerous claimants and Bayer Corporation. Those claims were settled in groups and Mr. Tewksbury determined the ultimate distribution of those settlement proceeds to the claimants. All of those distributions were accepted resolving close to 200 of those claims. Mr. Tewksbury was named Lawyer of the Year in 2013 for Alternative Dispute Resolution by Minnesota’s Best Lawyers. He is a member of the American Board of Trial Attorneys (ABOTA). He is a member of the International Society of Barristers. Mr. Tewksbury is a member of Best Lawyers in America in the categories of personal injury litigation and alternative dispute resolution and has been recognized from 2008 to the present. 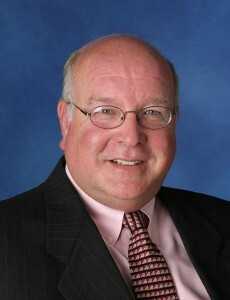 Mr. Tewksbury is recognized as a Leading American Attorneys in Minnesota from 1997 to the present. He has been named a National Trial Lawyers Top 100 Lawyers – 2009 to the present. He has been named a Super Lawyer by Law and Politics, Twin Cities Business Monthly and Minneapolis-St. Paul Magazine from 1996 to the present enjoying particular distinction over the years as a Top-40 Personal Injury Attorney, a Top-50 Appellate Lawyer, a Top-25 Mediator in Minnesota, a Top-25 Personal Injury Lawyer and a Top-100 Super Lawyers in Minnesota. Mr. Tewksbury has prepared and presented numerous arbitrations and articles on all aspects of the litigation practice from medical, insurance coverage, releases, trial tactics, and maximizing ADR results. He is available to conduct mediations, binding and non-binding arbitrations, and early case evaluations, as well as serve as a Special Master.